This class is for the littlest artists, to explore their creativity. Gain confidence in self-expression and artistic exploration through a hands-on, mixed media experience. In this mixed media class, children will create artwork with a wide variety of drawing, painting and clay mediums. This class is meant to be fun and be creative! This is a mixed media class for kids who want to explore as many types of 2 and 3 dimensional art as possible! This class includes a variety of awesome projects from drawing, acrylic painting, watercolour painting, printmaking, collage, clay and MORE! We take a more process based approach to art making in this class. All projects use quality art materials and students are taught techniques used by professional artists. 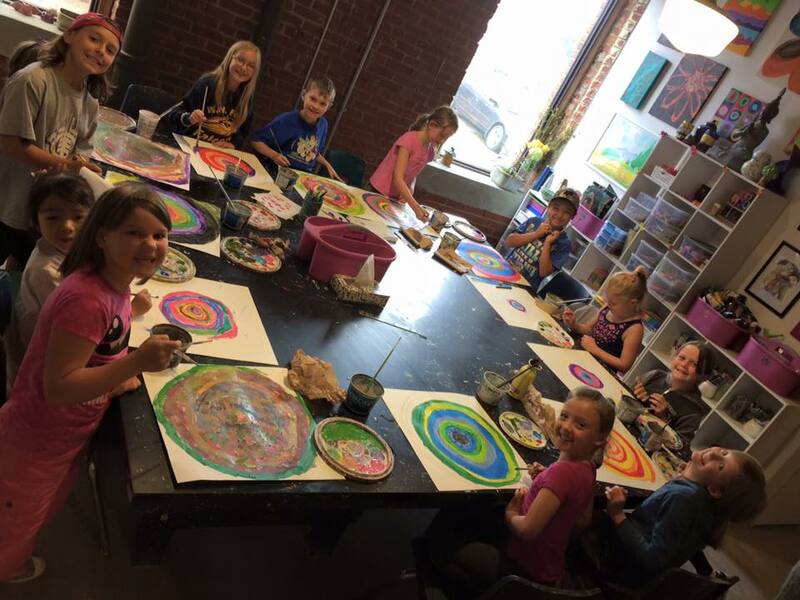 This is a mixed media class for kids who want to explore as many types of 2 and 3 dimensional art as possible! This class includes a variety of awesome drawing and painting projects like chalk pastel drawing, watercolour painting, acrylic painting, printmaking, clay and MORE! We focus on a more project-based approach to art making in this class. All projects use quality art materials and students are taught techniques used by professional artists. In this class, students will sit down at the pottery wheel and learn basic wheel throwing techniques, learning how to centre, create basic shapes, and how to trim and finish a piece. Students will also be taught some basic hand building techniques including slab, pinch and coil construction. Time each class will be dedicated to practicing these skills. Students will learn the same techniques used by professional potters. Students will also learn basic glazing techniques and finished projects will be fired in our kiln.